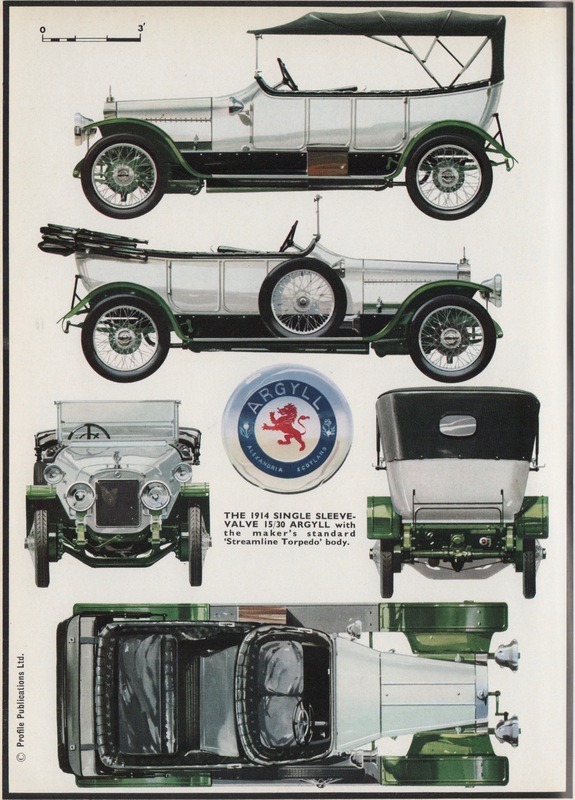 THE ARGYLL CAR traced its discontinuous Scottish heritage from 1899 to 1908, 1910 to 1914, 1914 to 1932, and a more recent usurpation of the nameplate from 1978 to around 1990, à la today’s Bugatti. The Argyll’s most interesting period, though, was its Burt McCollum single-sleeve-valve era, particularly 1910 to 1914. A 1914 single-sleeve-valve 15/30 Argyll, with the maker’s standard “Streamline Torpedo” coachwork. This and the following images from “The Single Sleeve-Valve Argylls,” by George A. Oliver, in Classic Cars in Profile: Volume 3: Profile Nos. 49-72, Anthony Harding, general editor, Doubleday and Company, 1968. Why sleeve valves in lieu of the almost ubiquitous poppet valves? And why the single-sleeve-valve concept instead of the already existing Knight double-sleeve design? In each case, engineering elegance was sought. Yet engineering state of the art complicated matters. Sleeve-Valve Actuation. Rather than poppet valves moving in and out of the combustion chambers, sleeve valves perform the same intake and exhaust functions through movement of concentric tubes around the cylinders. 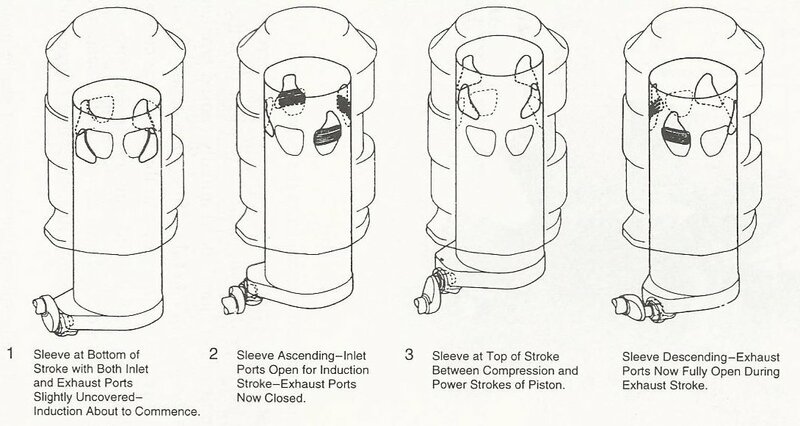 With the double-sleeve-valve concept, each cylinder has a pair of sliding concentric tubes, one with openings dedicated to intake, the other to exhaust. The single-sleeve-valve design requires only one tube per cylinder, with its vertical reciprocation combined with partial rotation to achieve intake and exhaust at the appropriate times. A single-sleeve-valve design of a Bristol aircraft engine shows how partial rotation and reciprocation combine to match openings and ports appropriately. Double-Sleeve-Valve Daimlers. Charles Y. Knight, Scots-born American automaker, introduced his double-sleeve-valve designs with the English Daimler in 1905. Daimler-Knight engines, renowned for their silence, smoothness, and efficiency, remained in production well into the 1930s. 1925 Daimler 16/55 Tourer “… left a slight haze of oil smoke trailing behind…” Image from Kop Hilll Climb 2014 by PSParrot. Single-Sleeve-Valve Argylls. Scottish engineer Peter Burt started his internal-combustion engine investigations in 1887. Two decades later, Burt perfected a single-sleeve-valve alternative to the Knight double-sleeve, his provisional British patent granted on August 6, 1909. However, Canadian J.H.K. McCollum’s design, patented June 22, 1909, shared many features with Burt’s concept. The Argyll 15/30 engine in section. This entry was posted on February 13, 2019 by simanaitissays in Classic Bits and tagged "The Single Sleeve-Valve Argylls" George A. Oliver in "Classic Cars in Profile Vol. 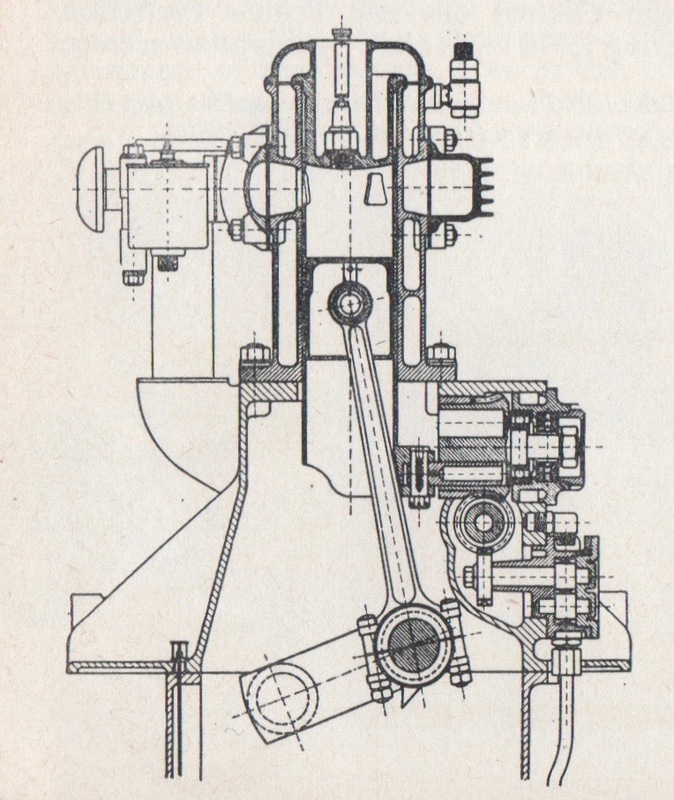 3", Daimler double-sleeve-valve engine, single-sleeve-valve vs double-sleeve-valve designs.